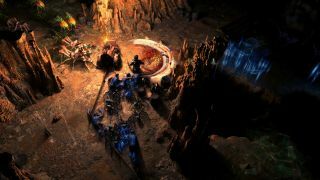 Massive ARPG Path of Exile will end support for Windows XP and Vista as of its next update, Grinding Gear Games has reported. According to the developer, the number of active XP and Vista users amounts to a mere 0.1% of the game’s total user-base, which makes sense considering that Windows XP is now old enough to drive. Windows Vista, meanwhile, is verging on becoming a teenager, which would at least explain why it was so sluggish and unlikely to do as it was told. At the same time, Grinding Gear is scrapping its DirectX 9 version of the game. DX9 was required to ensure that Vista and XP users were fully supported. But most players who were using the DirectX 9 version were doing so simply because it allowed them to disable shadows, rather than because their system was unable to support DX11. So, basically, if you’re a big Path of Exile fan playing on either XP or Vista, you’ve got between now and March to upgrade to at least Windows 7. Meanwhile, the remaining 99.9% of Path of Exile players will benefit from a faster overall game, as Grinding Gear claim they can “simplify a lot of code”.